Anunturiurgent.ro has the solution to promote by giving you the opportunity of publicity. Promote your business - Advertise on our website! It is a simple, safe, efficient and inexpensive solution to be sure that those interested in your services and products can find you online. Clients for your business! 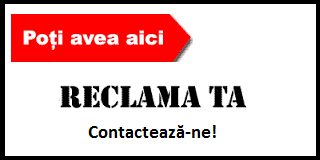 www.AnunturiUrgent.ro can promote your business, your website in the online environment. Start today to sell, your potential customers will find you easier on the internet! With a simple form + pay you can be on the home page of the website! How much does promotion cost? Promo! The minimum contract period is 3 months and is paid in advance. Banner 160*600px if you are interested, contact us. The pop-up window at the opening of the website if you are interested, contact us.